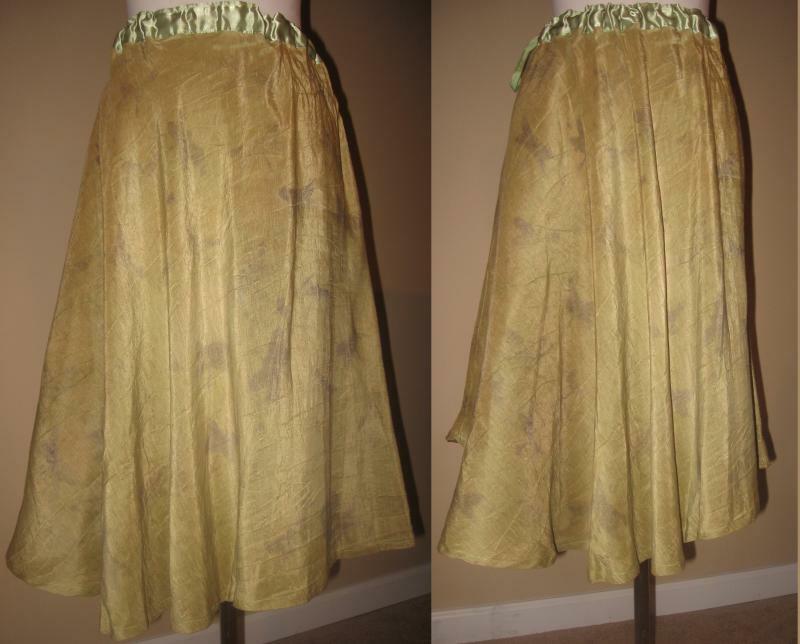 This is a delicate fabric in an all natural blend of hemp and silk. 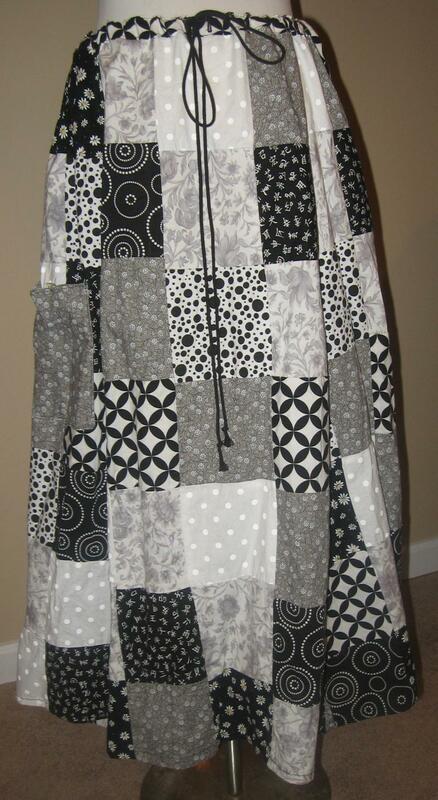 It is circle cut for a great flow and a generous amount of fabric was used in it's design. This fabric has been deemed "popcorn" due to the raised texture which also picks up the dye with light and dark hues. It's elastic waist works for a medium to large sized person, a size 6 would wear it lower on the hips and a 12-14 would wear on the true waist. This is a smooth, soft hemp-silk blend, hand-dyed. Circle cut for graceful flow, floor length. Drawstring waist fits most sizes. 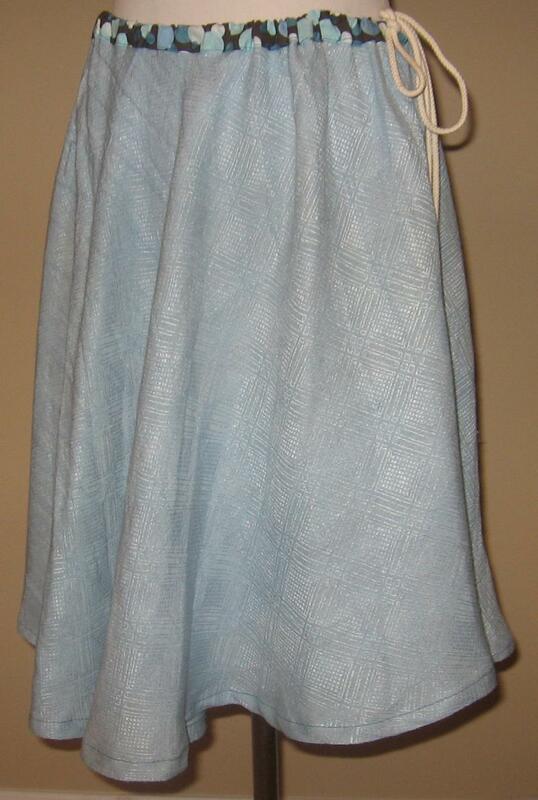 Another beautiful hand-dyed hemp-silk blend skirt, this one is a robin's egg blue diamond jacquard. 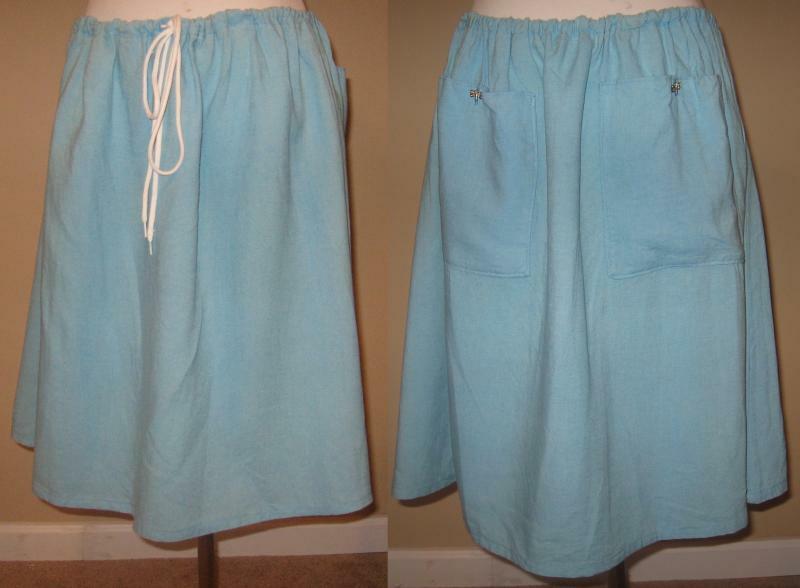 Length is around the knee and it will fit most sizes with it's drawstring waist wrapped in a bubbly cotton calico. It's a flirty and full circle cut. 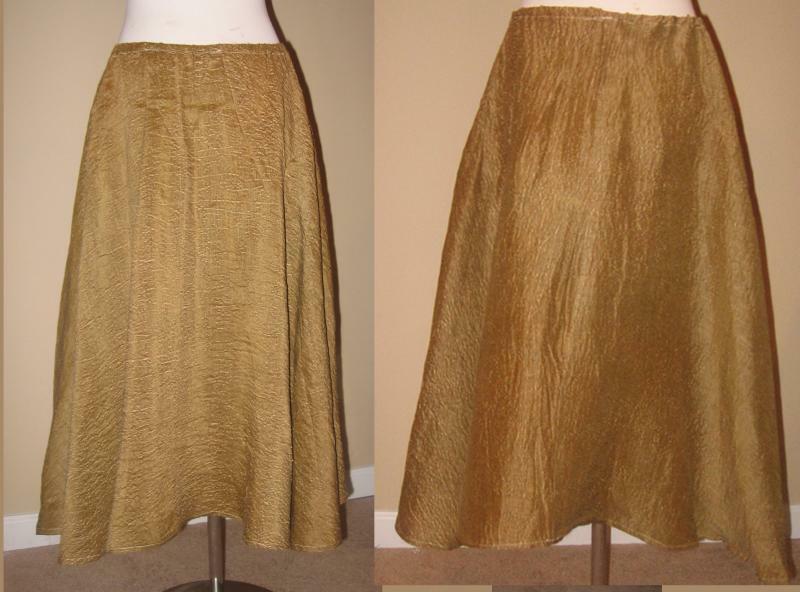 A cute knee length hand-dyed hemp-tencel blend skirt with two back pockets. Each pocket closes with a sparkly dragonfly button. Drawstring waist will fit most sizes. 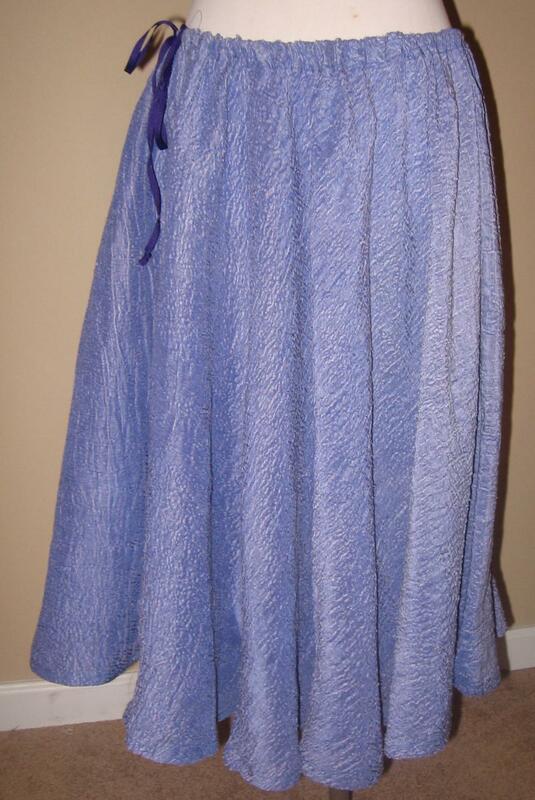 This beautiful hand-dyed hemp silk skirt has a raised "popcorn" feel texture that picks up different hues of this beautiful blue. It is circle cut to drape elegantly and flow beautifully when you spin. 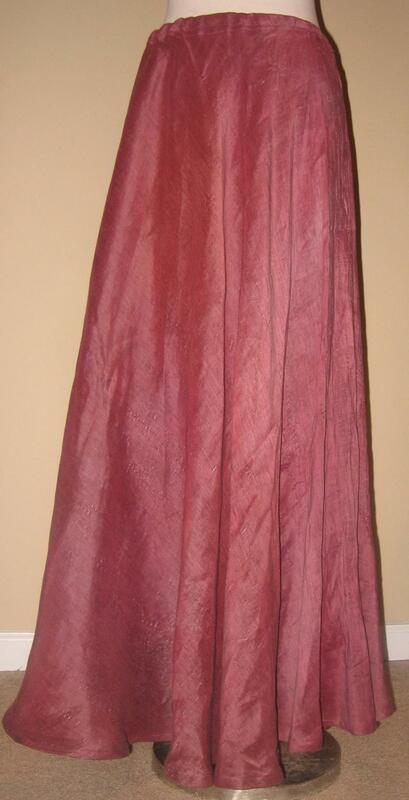 It is calf length and will fit most sizes with it's drawstring ribbon waist.